Spring is early this year. Our yard is mostly snow and ice free already and it's not even March yet! Not that I wouldn't know that a new batch of snow can attack any day until April or so... 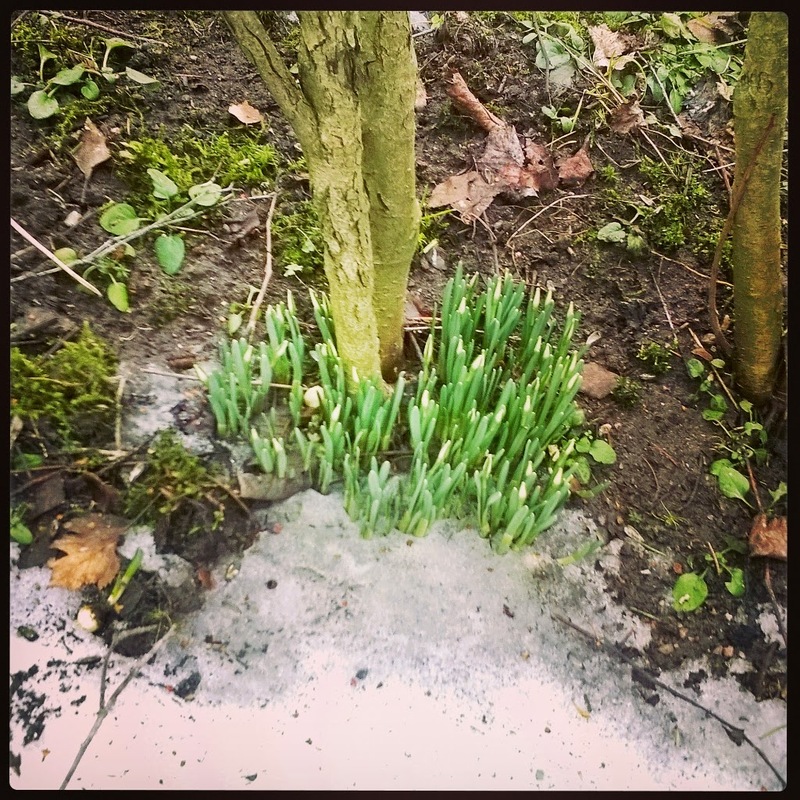 Flowers are coming up here and there, practically through the last bits of ice and snow.